As a small service-based business owner you know the importance of building your reputation and credibility as a specialist in your field. Your business’s survival depends on it. Getting your brand message out in front of your target market should be part of your daily list of activities. You may already be writing articles and blog posts or even incorporating video as part of your brand communications. However, if you find writing difficult or you’re not quite ready to get in front of the camera, a great way to get your message out to your audience is through the use of audio. I’ve been using audio for many years now and love it. I was a former co-host on the popular internet radio show – Career Success Radio Show; and am now host of two business podcasts – Business Success Podcast and The Ambitious Entrepreneur. An audio tip that’s shared on your social media networks. As you can see, you can leverage audio in all aspects of your business to get your message out there into the hands of your ideal client. You just need to decide which fits best into your brand communications wheel. Before you start to record your audio, it’s important to plan out what you’re going to say. Your audio should also include an introduction; your content, and then your call to action specific to your target audience’s needs and interests. The Introduction: should include your hook, which is the reason why your listener should listen to the rest of the call. People are busy and need to know why they should invest their time to listen to you. It needs to identify ‘what’s in it for them’. What will they walk away with? Click play to hear the recording of the Introduction. Your Content: should provide listeners with a tip, strategy or information that is useful and valuable and something that they can implement within their lives and/or business. By providing helpful information you’ll confirm your knowledge and expertise in your field. You’ll also encourage your listeners to return to your website as you become a reliable and helpful source! And of course, as you continue to build your reputation as a credible expert, you’ll be top of mind when they’re ready to invest. The Call to Action: should inform and encourage listeners to take the next step – whatever that step may be. Do you want them to leave a comment? Or Like/Share your audio with their community? You may be using your audio as a lead generation tool and therefore want your listener to take the next step and sign up to access your free e-report or other offer. Whatever action you want your listener to take – tell them at the end of your audio. Click play to hear the recording of the Call to Action. This is a great tool if you are only recording yourself. If you have two microphones you can record a guest as long as you are in the same location. I use Skype to record all my interviews with guests who are located nationally and internationally. If I am recording on my MAC – I use Call Recorder [There is a small fee for this software, however it is certainly worth the investment]. If I am recording via Skype on my PC – I use Pamela [There is a free version of Pamela, which allows up to 15 minutes of recording. There’s also a paid version]. Thankfully I now have an audio production team that manage this for me, however when I was mixing and editing myself, I would use Audacity. To convert Audacity files to MP3 files you’ll also need to add on the LAME plugin. I don’t recommend you host audio on your own website as this can eat up a lot of your bandwidth, especially once you get to the stage where many people are listening to your audios. A great problem to have! I use AudioAcrobat, which allows you to embed a streaming audio as well as provide your listeners the capacity to download and save the audio file to their computer. The Introduction and Call To Action audios above have been embedded into this post directly from AudioAcrobat. It’s very simple to do! Want to create your own internet radio show? This was how I started out – cohosting Career Success Radio. 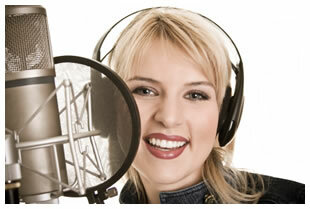 Blogtalkradio offers free and paid versions – and is a great option when just starting out. This is a great little tool that I have just discovered. You can also download this application to your iPhone and iPad and you can record and publish audio tips on-the-go to your Twitter and Facebook feeds. 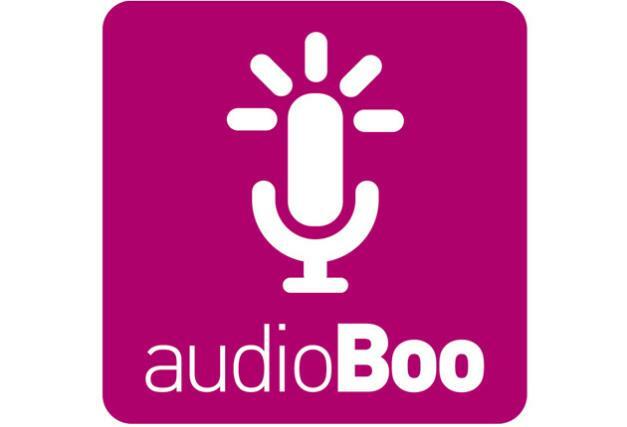 Click above to hear one of my Audio Boo Audio Posts. When done correctly, using audio is a great way to build your credibility and reputation as a specialist in your field, while connect with and continue to build your relationship with existing and prospective clients. I hope you found these tips useful in helping you get started whether you want to start a broadcasting career and run your own podcast, or whether you just want to use audio as a way of sharing information with your community. If you Liked this post, please share it with your friends and colleagues by pressing the Like and Share button. Let me know how you plan on using audio by leaving your comment below. It’s always great to see what you’re up to!! And, of course – once you upload your audio, let me know. I’d love to have a listen! Till next time – I look forward to welcoming you to the airwaves. I help Change Makers (on a mission to impact the world with their message) become an Authority and an Influential Voice in their Industry so they can attract more clients who pay them what they are worth. Some of the results my clients have seen include doubling (and even tripling) their results. >>> Want to double (or triple) your results - while BOOST your reach and influence? Let's talk! My details are on the Contact link (top of page). Welcome! I work with Change Makers and Thought Leaders helping them stand out in a noisy and competitive marketplace so they become an Influential Voice in their Industry. How do I do this? By leveraging a unique blend of personal branding, influential communications and storytelling expertise alongside my extensive experience in podcasting to support my clients in producing their own podcast series and/or podcast channel so they can share their message with the world! We do everything for you with our Done-With-You and Done-For-You offerings - leaving YOU to focus on what YOU do best! I work with Change Makers and Thought Leaders, helping them navigate and stand out in a noisy and competitive marketplace so they become an Influential Voice in their Industry. How do I do this? By leveraging a unique blend of personal branding, influential communications and storytelling expertise alongside my extensive experience in podcasting to support my clients in producing their own podcast series and/or podcast channel so they can share their message with the world! We do everything for you with our Done-With-You and Done-For-You offerings - leaving YOU to focus on what YOU do best! I offer a limited amount of consulting for individuals and organizations in the area of personal branding, digital/online marketing and communications - specifically with their own podcast series and podcast channel. I speak on various topics to help entrepreneurs, authors, speakers, and solopreneurs become an Influential Voice in their industry, while build and deepen client engagement and retention with a podcast. Note from Annemarie: I have garnered extensive experience over the years. In fact you'd probably be right in calling me a multi-talented, multi-passionate entrepreneur. I LOVE learning, starting and launching new creative projects, and being involved in multiple things at a time. It's been both a blessing and a curse. However, it is what it is. And, thankfully, I now use my combined expertise in my work with clients when helping them become an Influential Voice in their Industry. Here are some of my popular articles I've written over the years for solopreneurs, coaches and consultants across three key areas they often struggle with. I trust you will find them helpful! Powerful Marketing to Get More Clients Who Pay You What You're Worth! If you have questions or concerns regarding this statement, you should first contact Annemarie Cross at (03) 9708 6930. ©2019 Podcasting, Brand and Communications Strategist for Service-Based Business. Powered by the Get Noticed! Theme.